As a volunteer EMT, student Kelsey LaBella (far right) was honored for the care she provided. The New York State Police honored B.S. in health sciences/M.S. in physician assistant studies student Kelsey LaBella on March 19 for her work in helping to save a trooper’s life. 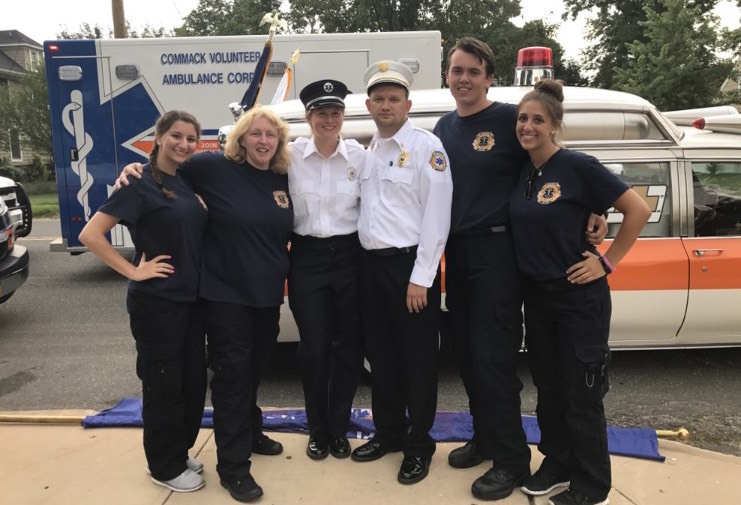 A volunteer emergency medical technician for the Commack Volunteer Ambulance Corps on Long Island, LaBella was on duty in December when a car hit the trooper as he put out flares for a down motorcycle. After a lengthy hospital stay, the trooper now is recovering at a New Jersey rehab facility.